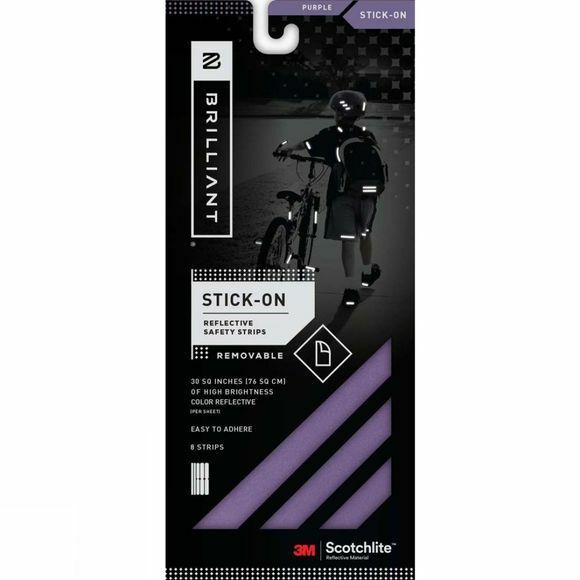 The Brilliant Reflective Strips from Safe Reflections are easy stick-on reflective safety strips that will keep you safe in the dark. They are avaliable in a variety of colors to blend with or accent your aparel and equipment. Safe to use on bikes, backpacks, helmets or clothing, for adults and children. Made from 3M Scotchlite Reflective material, it provides optimal visability in low-light conditions. When you outline the human form with Briliant Reflective, the light reflecting back to a driver will be in a shape of a human. Studies show that drivers react more quickly when they know they're approaching a human rather than an unknown object.